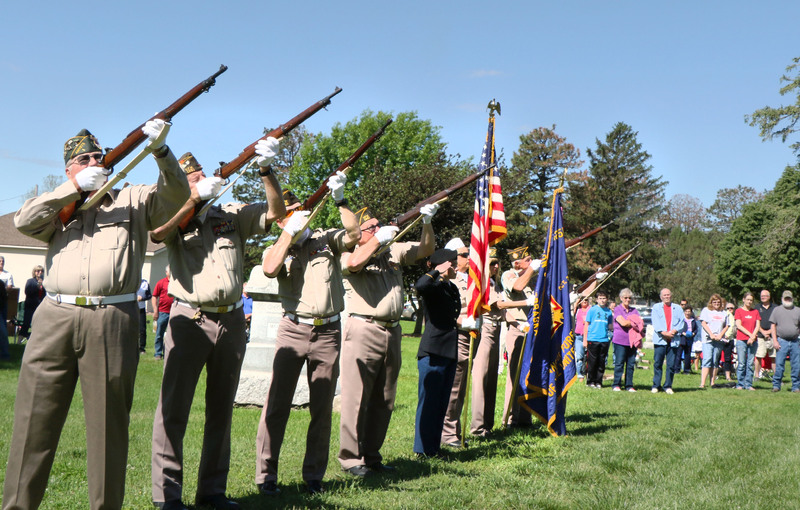 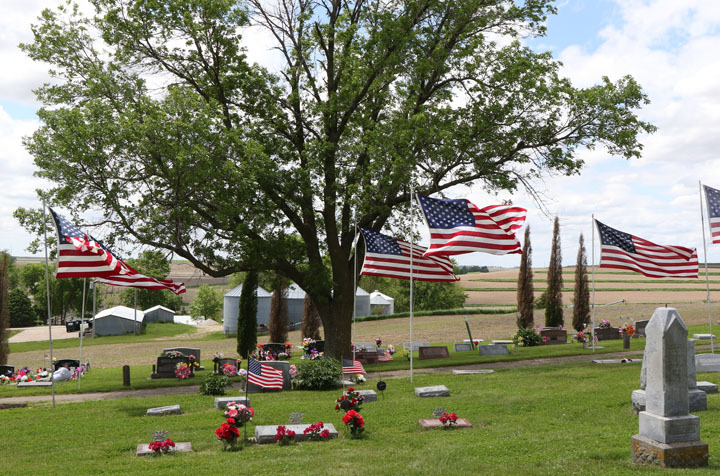 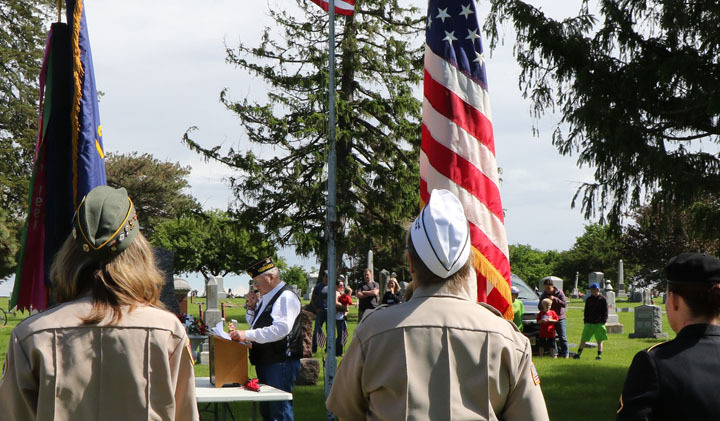 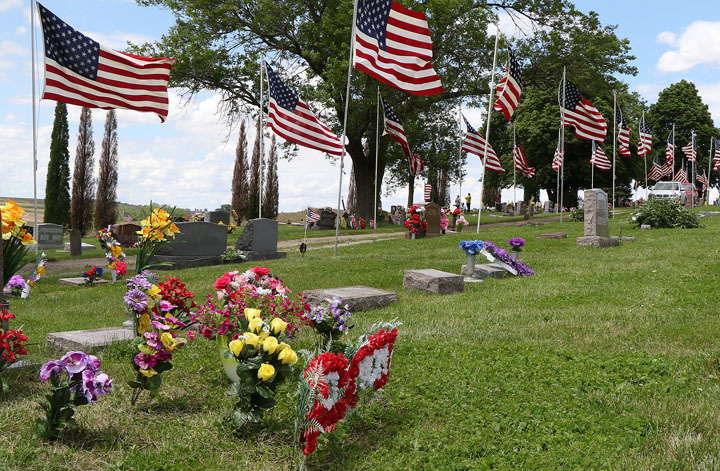 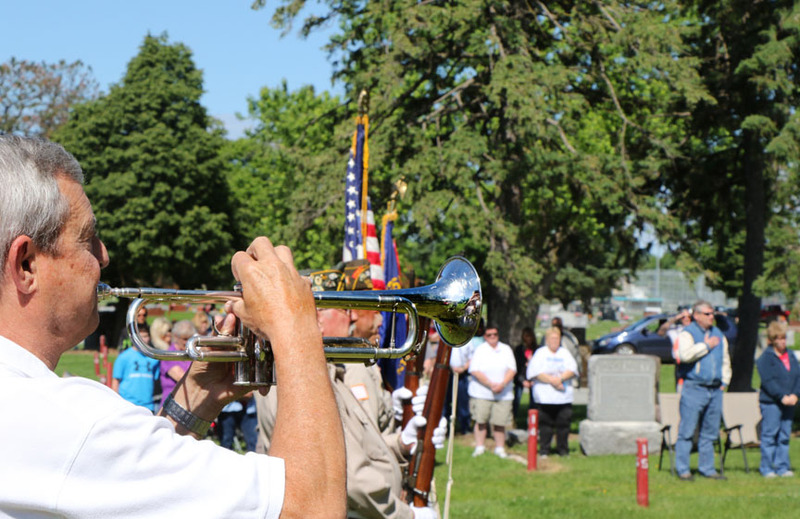 Ray Quadhammer plays taps following 21 gun salute by Blair VFW honor guard during Memorial Day service at Blair cemetery. 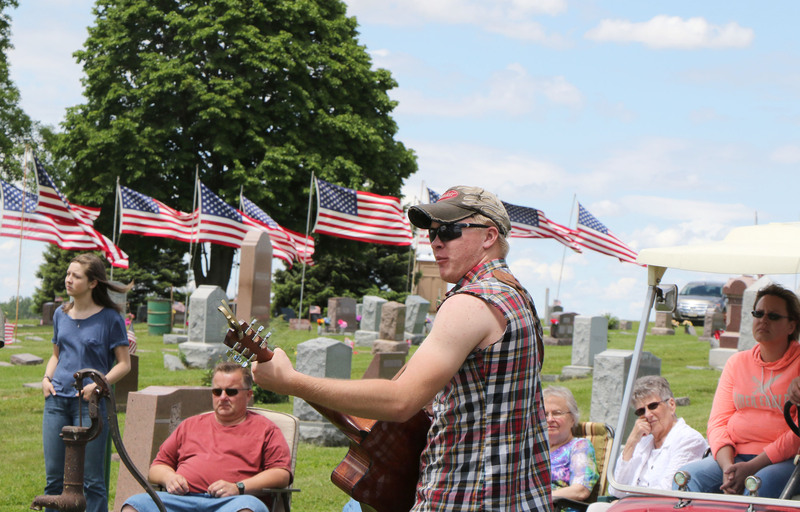 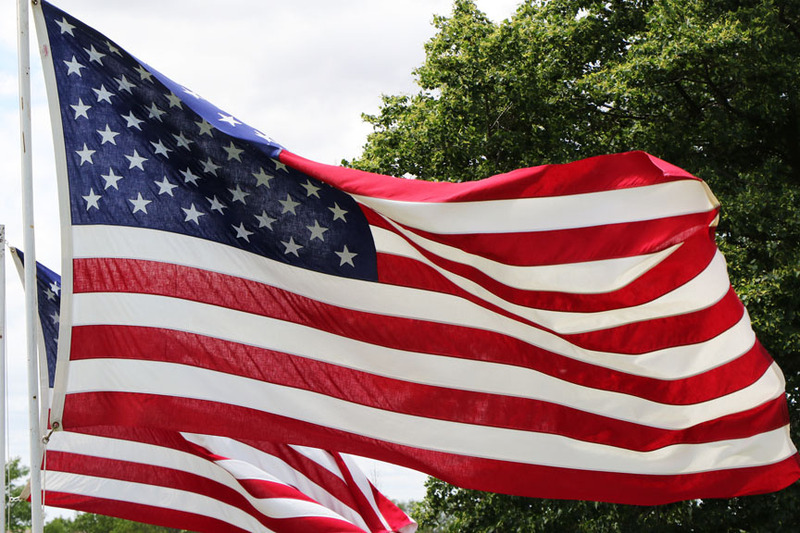 Grant Kubie sings patriotic themed songs during Memorial Day service at Kennard on Monday afternoon. 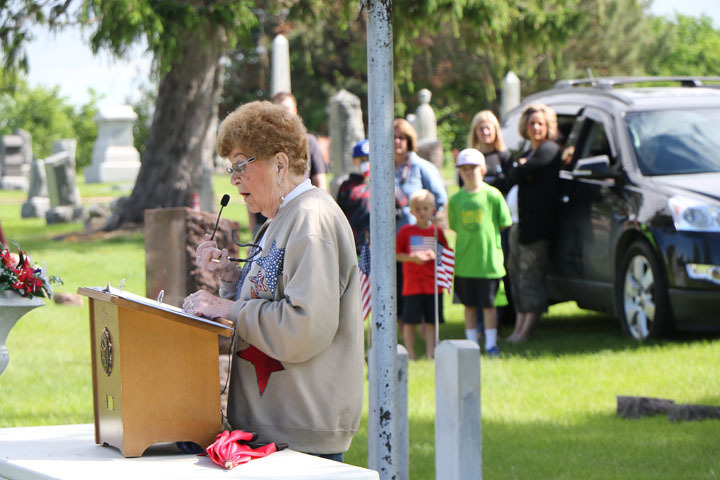 Doris Stokes served as Master of Ceremonies for the Blair Memorial Day service. 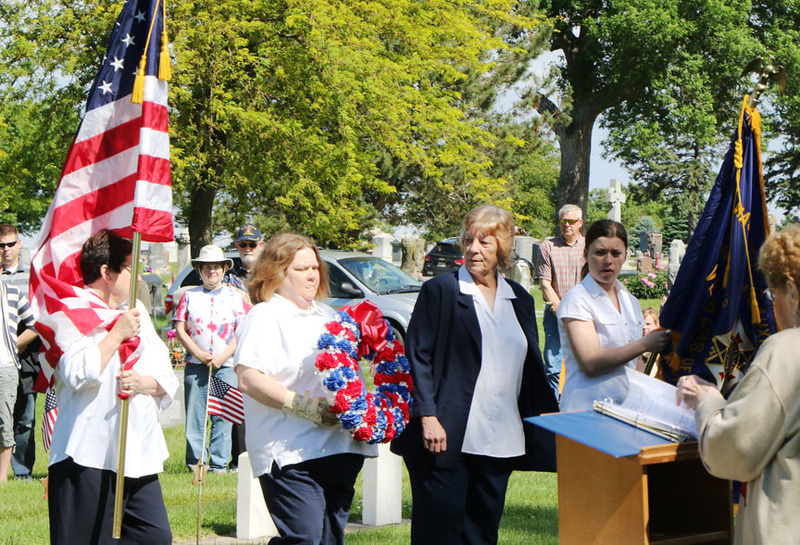 Carl Lorenzen gives the Memorial Day address at the Blair service. 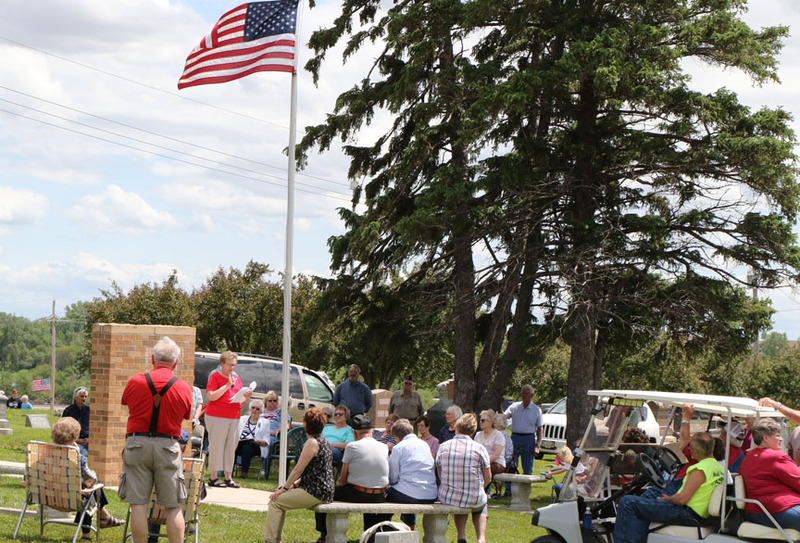 From left: Les Miller, Jay Long, Joe Leonard, Bob Wittry, Carissa Stier, Deb Wehrili, Dave Brown, Ron Williby.